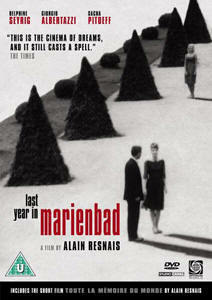 Not just a defining work of the French New Wave but one of the great, lasting mysteries of modern art, Alain Resnais’ epochal Last Year at Marienbad (L’année dernière à Marienbad) has been puzzling appreciative viewers for decades. 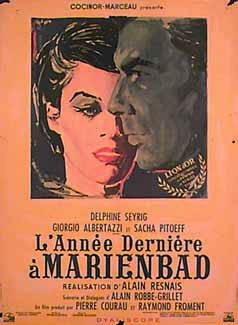 Written by radical master of the New Novel Alain Robbe-Grillet, this surreal fever dream, or nightmare, gorgeously fuses the past with the present in telling its ambiguous tale of a man and a woman (Giorgio Albertazzi and Delphine Seyrig) who may or may not have met a year ago, perhaps at the very same cathedral-like, mirror-filled château they now find themselves wandering. 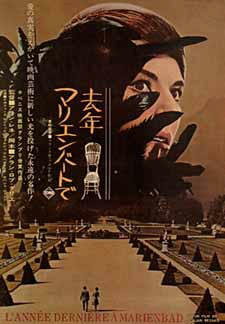 Unforgettable in both its confounding details (gilded ceilings, diabolical parlor games, a loaded gun) and haunting scope, Resnais’ investigation into the nature of memory is disturbing, romantic, and maybe even a ghost story. 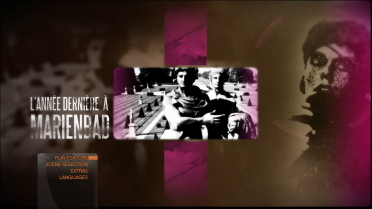 Big thanks to Henrik Sylow for the PAL DVD Screen Caps! 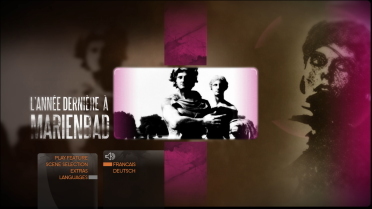 ADDITION: Studio Canal - Region 'A + B' Blu-ray - February 2011': Firstly I'd like to thank my friend Louis for sending me the Studio Canal Blu-ray for comparison. 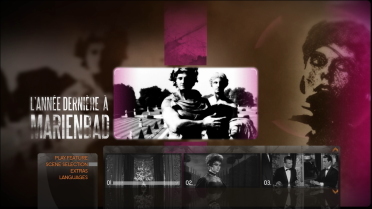 Secondly, I realize that I used a different system (software) to create the Criterion captures and, while I replaced a few, I didn't find it offering a significant difference to bother recapping all. 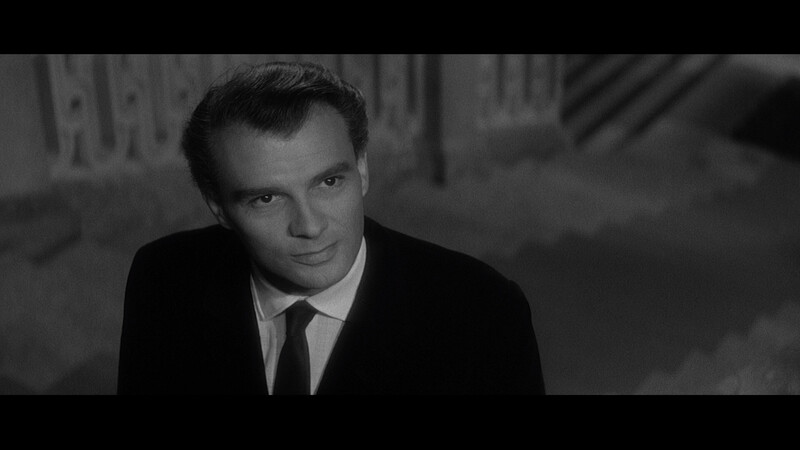 So, my comments will reflect how I watched the two 1080P transfer on my home system. 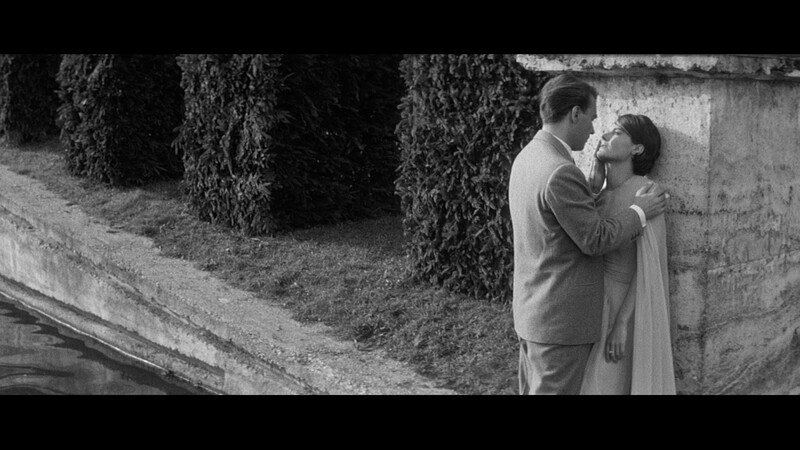 The Criterion is darker and seems more stable to me - the brighter Studio Canal looks a shade frail and possibly boosted. It may tend to look 'better' to some - but brighter images often do. 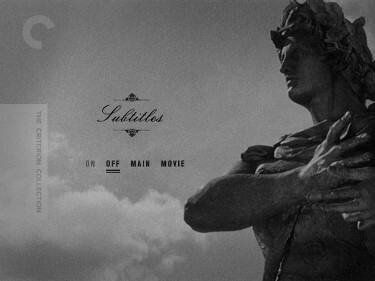 I still like the Criterion but since both are fairly consistent in their visuals - most people wouldn't choose one over the other in normal viewing, IMO. 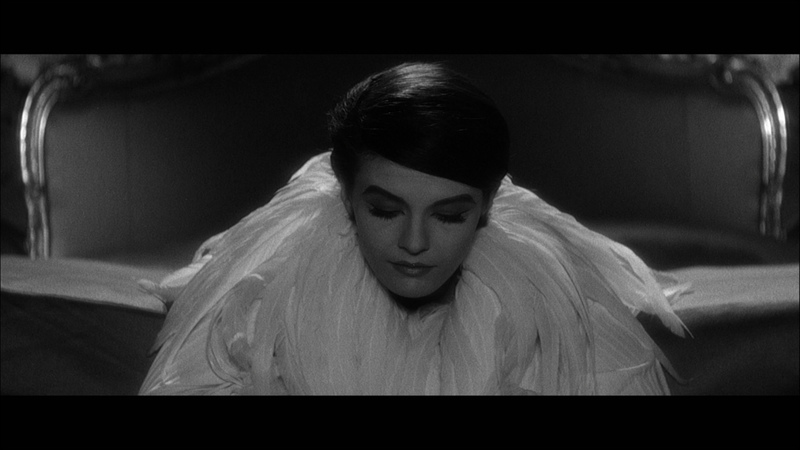 They both give an excellent presentation, in my opinion but for those interested - the Criterion, approved by director Alain Resnais, offers the higher file size and bitrate for the feature. Criterion also has a technical superiority for the audio - but again I think it is a wash for almost everyone - certainly my ears couldn't distinguish any significant differences. 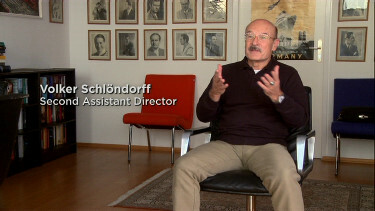 Both offer English subtitles and the Studio Canal offers a German DUB and more subtitle options for those requiring it. 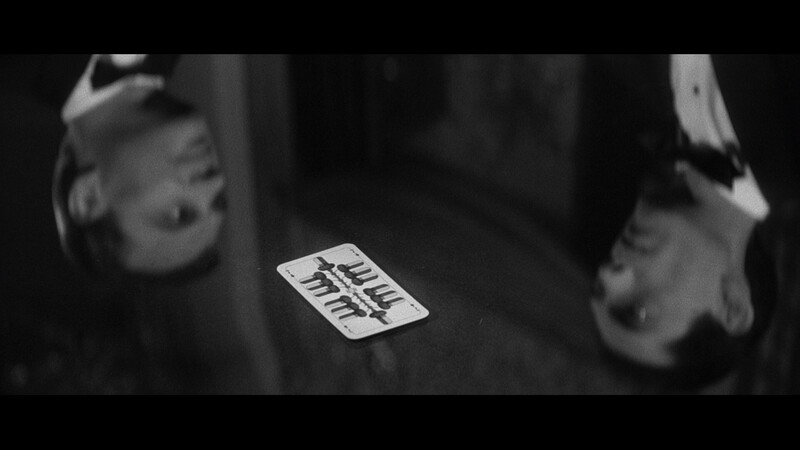 It seems the Criterion is region 'A' and the Studio Canal is coded for both 'A' + region 'B'. 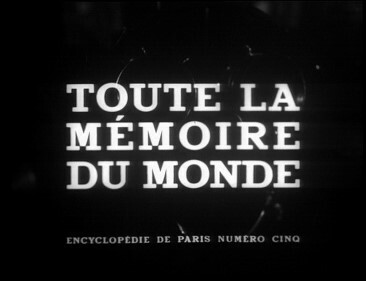 Supplements are, again, quite similar with both having Ginette Vincendeau, a trailer and the two shorts - La Chant De Styrene and Toute la mémoire du monde. 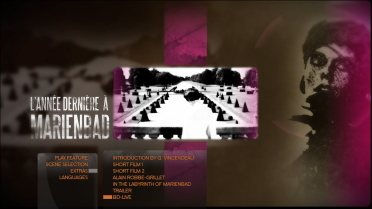 Where they differ is in the the larger, (better, IMO) booklet by Criterion who offer an isolated soundtrack and the Studio Canal has a piece on Alain Robbe-Grillet for almost 50-minutes. I think that purchasers will be happy with either - Criterion collectors will lean that way and for most they should get the least expensive for their geographical area (taking into account shipping etc.). 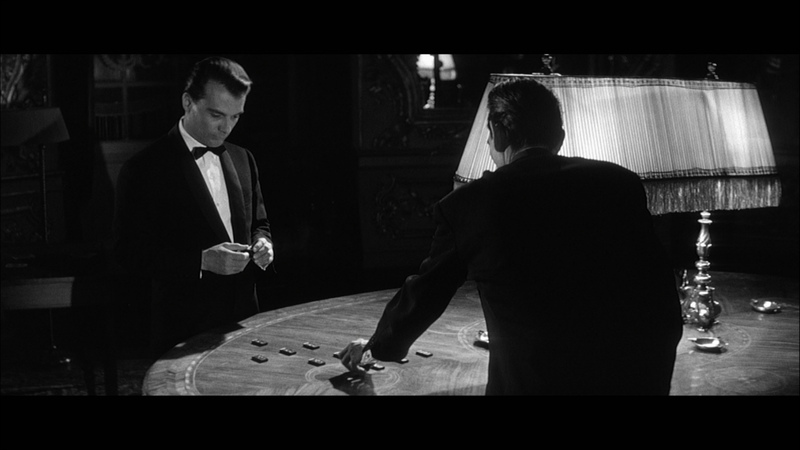 The film impacts me the more I see it - this has been happening for a few years. 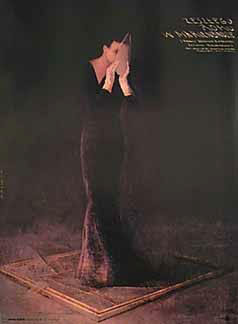 It's becomes a very relaxing, contemplative experience - one we strongly recommend! 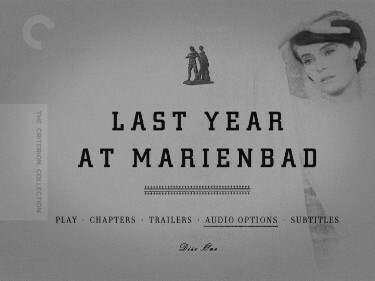 ADDITION: Criterion - Region 'A' Blu-ray - June 09': I'm very happy to report that detail and contrast are notably improved in the high-definition rendering of Criterion's Last Year at Marienbad. 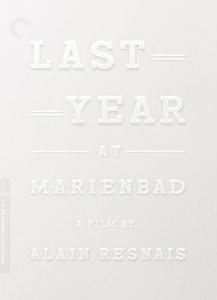 This may be the most dramatic difference from a simultaneously released Criterion DVD to it's Blu-ray counterpart that I've seen. Every visual facet seems superior. 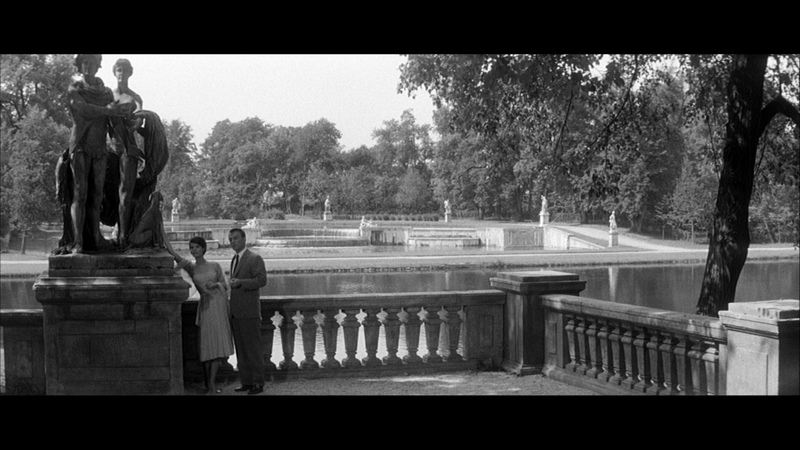 The Criterion DVD does indeed have some green seeping in and is somewhat darker at times (both easier to note in side-by-side comparison). 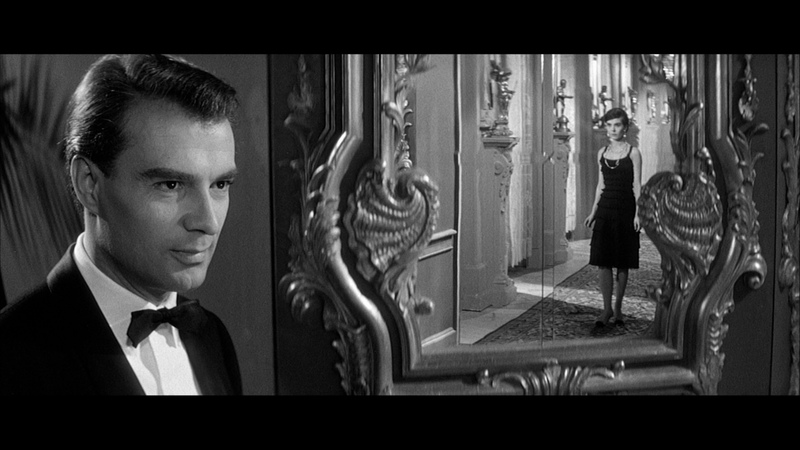 The precise framing and beauty of the film looks just magnificent on this Blu-ray. The improvement was readily noticeable on my system. 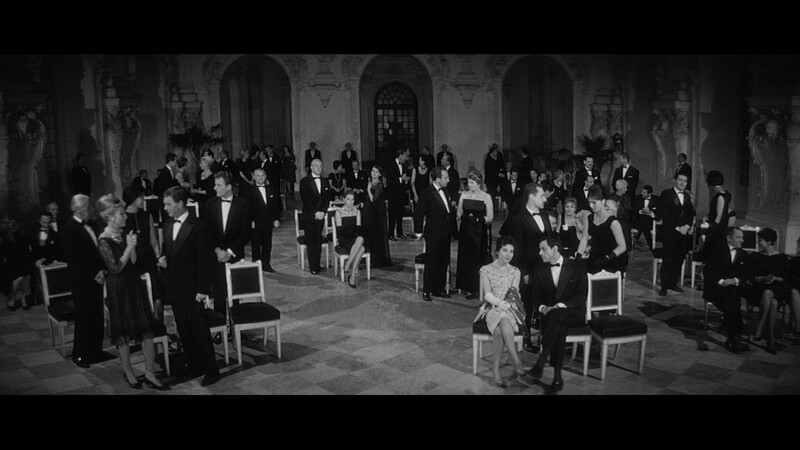 I felt like I was watching the film in a theater. Some repaired damage marks still exist but they are significantly lighter. 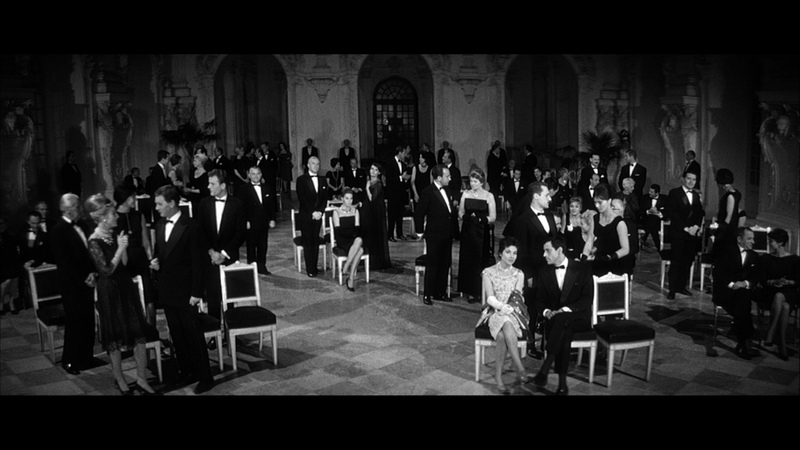 Grain is more apparent but blacks may not be quite as pitch in certain scenes. 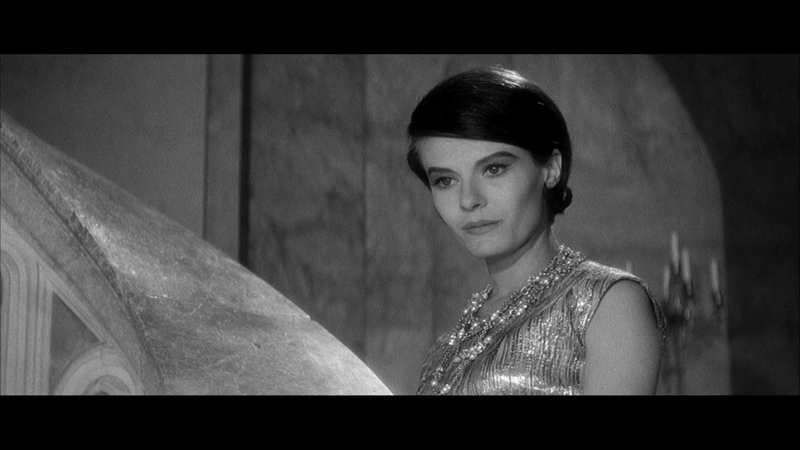 The SD-transfer looks glossier and the Blu-ray far more textured. Like the DVD, audio on the Blu-ray includes the option for the restored and un-restored French tracks but they are both in linear PCM at 1100 kpbs - still flat mono - but a shade more resonant with some very discreet buoyancy (NOTE: I only watched with the 'restored'). Extras are duplicated on the DVD edition (discussed below) but video features are all in HD! 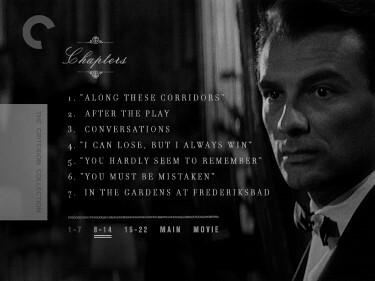 The same 46-page booklet is included without exclusions. 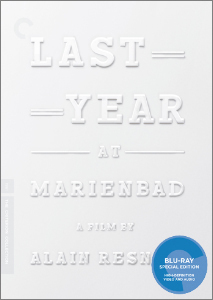 This Criterion Blu-ray takes up over 49 Gig of the available 50 and the company that sets the lofty mark for DVD production has continued its prowess in Blu-ray. Absolutely magnificent. 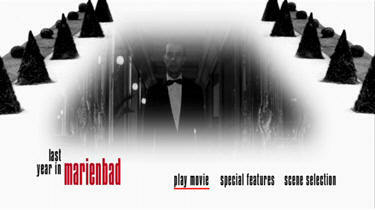 This is a film you definitely want in 1080P! ADDITION - Criterion - Region 1- NTSC June 09' - I'd like to reserve more specific comments on the image until we add the Criterion Blu-ray to this comparison. 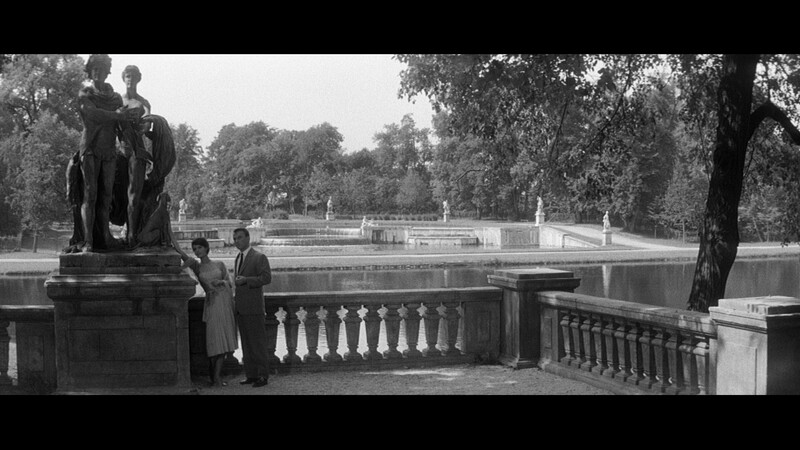 The Criterion DVD doesn't have the manipulation deficiencies of the Optimum and contrast looks strong. 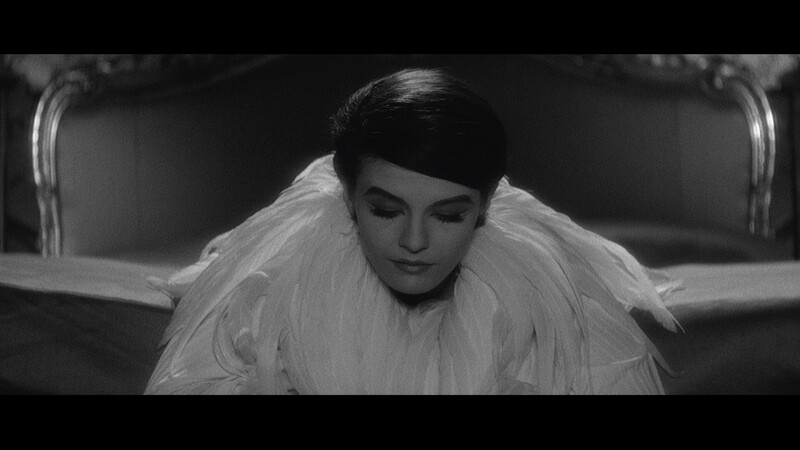 It appears hazier than the PAL edition but comparing the 1080P rendering should give us more information but it would be hard to critique the Criterion in which the 'transfer was supervised and approved by director Alain Resnais'. 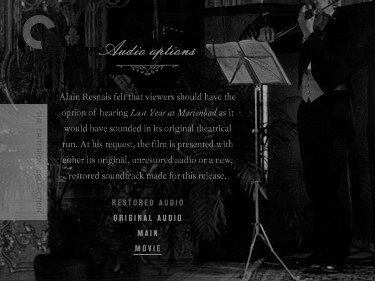 Criterion gives the option of restored French audio or the original. Checking out both the differences do exist and the restoration is the way to go in my opinion. 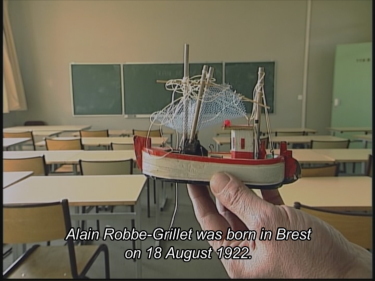 Criterion's English subtitles are, expectantly, removable. 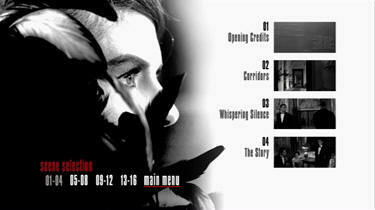 Extras are stacked starting with trailers (original theatrical and Rialto's re-release trailer) on the feature disc. 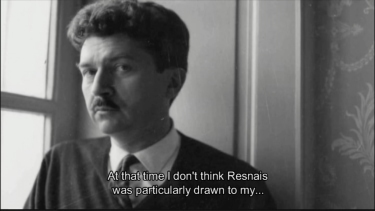 The second dual-layered DVD of supplements starts with a 1/2 hour new audio interview with Resnais conducted by film scholar Francois Thomas - author of L'atelier d'Alain Resnais - in 2008 for Criterion. 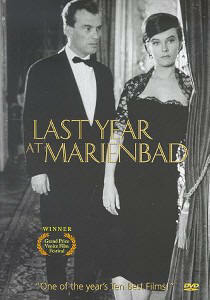 It is 7 chapters in French with English subtitles on a backdrop of stills and some scenes from Last Year at Marienbad. 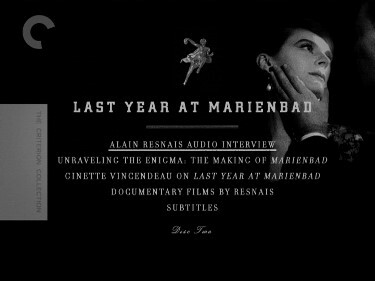 Next is a new documentary on the making of Last Year at Marienbad, featuring interviews with many of Resnais’ collaborators including his assistant directors Jean Léon and Volker Schlöndorff, script girl Sylvette Baudrot and production designer Jacques Saulnier. It is entitled Unraveling the Enigma: The Making of Marienbad. 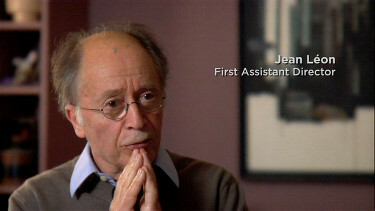 There is a new video interview with film scholar Ginette Vincendeau on the history of the film and its many mysteries running 23-minutes. 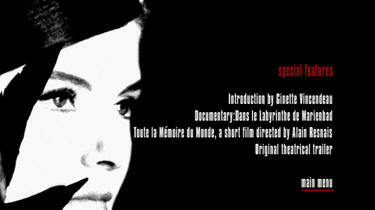 She discusses the various interpretations of the film and elucidates some of its mysteries. 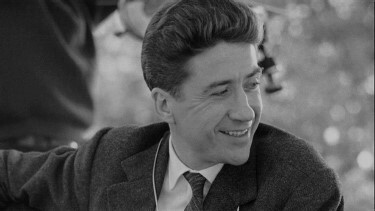 Criterion have included two short documentaries by Resnais: Toute la mémoire du monde (1956 - 20:57) and Le chant du styrène (1958 - 13:40 16x9) as well as a 46-page booklet featuring essays by critic Mark Polizzotti and film scholar François Thomas, and Alain Robbe-Grillet’s introduction to the published screenplay and comments on the film. 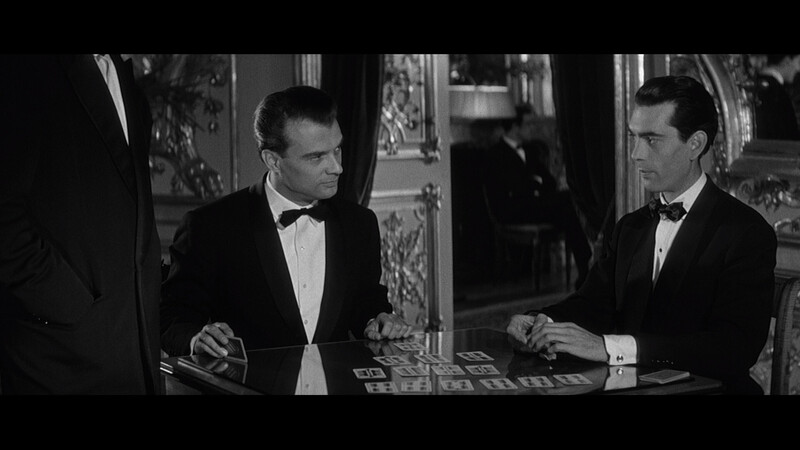 Obviously this is the definitive digital release of the film and we will compare Criterion's Blu-ray when we have the opportunity. Besides minute colour banding, the image is flawless. Deep solid blacks, good contrast, good details. Simply a superb anamorphic image. 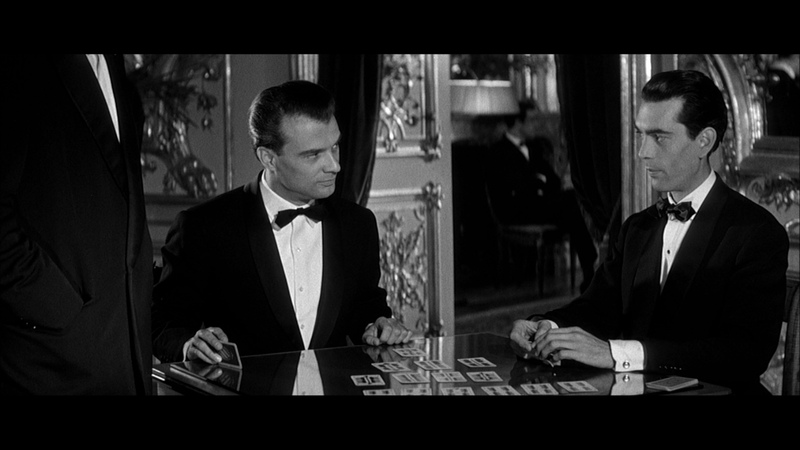 Two things are interesting versus Fox Lorber. One is, that as Optimum is PAL and as such has 4% PAL Speed-Up, Fox Lorber's approx equal duration suggests that it is a PAL to NTSC transfer. The other is that the Fox Lorber has approx 3% more image to the left, while Optimum has approx 3% more image to the right. 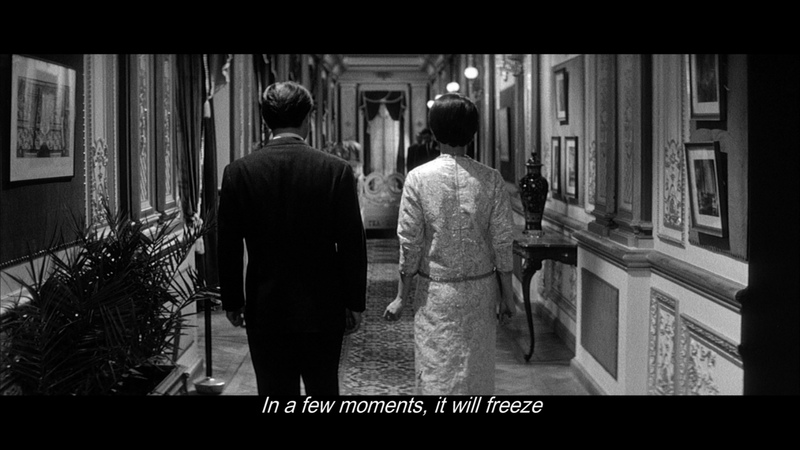 "In a few moments, it will freeze into a marble past. 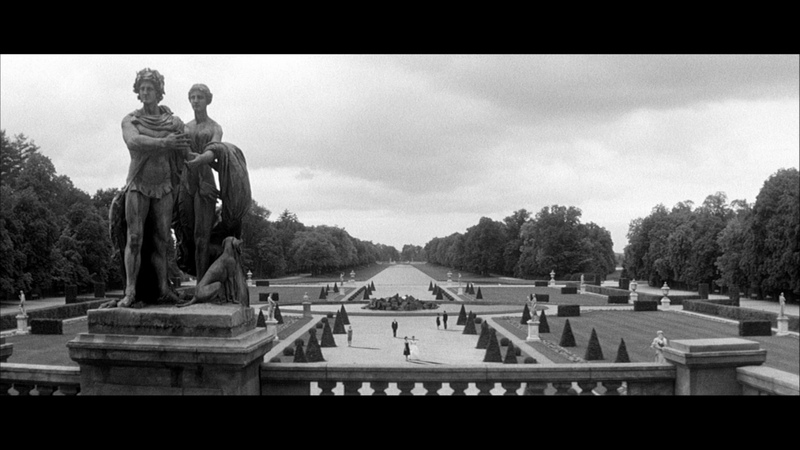 Like the statues in this garden of stone." 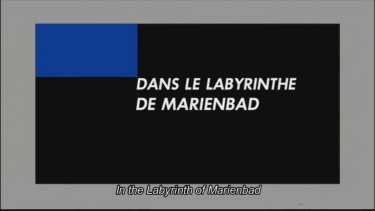 Not speaking French, I am unable to determine, which is the most accurate translation. 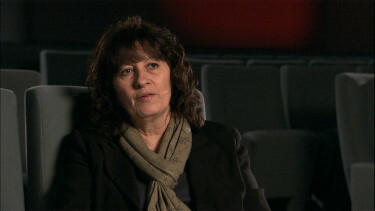 The additional material begin with a good and informative introduction by Professor Ginette Vincendeau, sitting in a cinema and talking about the films history and its interpretation. 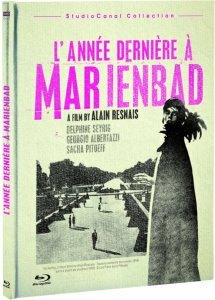 Following this is the documentary "Dans le Labyrinthe de Marienbad" by French critic Luc Lagier, who discusses the films history, the collaboration between Renais and Robbe-Grillet, its structure, various interpretations and finally its legacy. 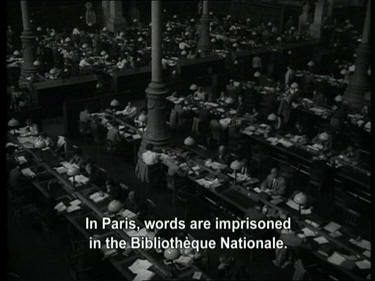 The last extra is the rare "Toute la Mémoire du Monde", a short film by Renais from 1956, a documentary about Bibliothèque Nationale in Paris, where Renais portraits the building, with its processes of cataloguing and preserving all sorts of printed material, as both a monument of cultural memory and as a monstrous alien being.